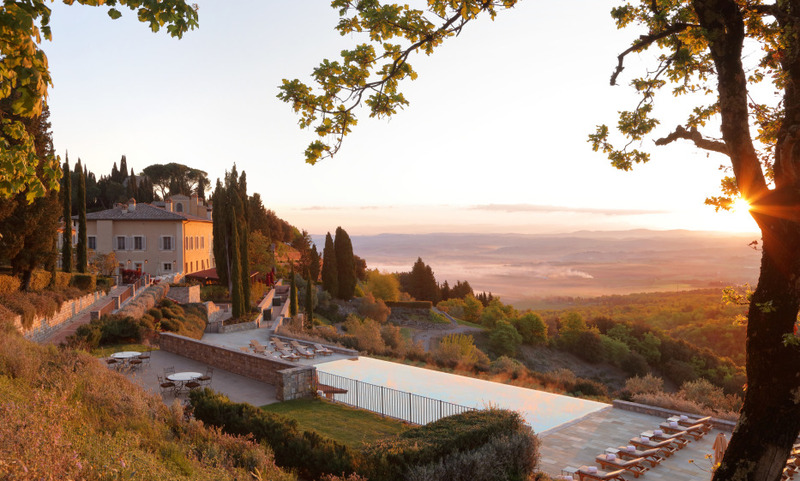 Rosewood Castiglion del Bosco is a country estate founded by Massimo and Chiara Ferragamo. The property is a unique combination: an elegant Tuscan home away from home with suites and villas, a superb culinary destination, an exclusive 18-hole private golf club, and a leading Brunello di Montalcino winery. Located in the Brunello di Montalcino wine-making region amid a Unesco World Heritage Site. Unique blend of 23 elegant suites and 11 exclusive Villas, a private 18-hole Golf Course and a Brunello Winery. Suite: Newspaper application for Android and Apple devices, Wi-Fi and use of Nespresso machine. Access to Kids Club and selected kids activities, free use of sauna and steam bath, fitness center, heated infinity pool, bocce and tennis courts. Villas: Daily breakfast delivered in villa and newspaper application for Android and Apple devices, Your Tuscan Dispensa - Welcome grocery upon arrival, Wi-Fi, Daily Maid, Check-out cleaning, access to Kids Club and selected kids activities, free use of sauna and steam bath, fitness center, private heated infinity pool, bocce and tennis courts.